Advanced learning and research have become vital to artists in all fields, including those making work for film, television and new media platforms. 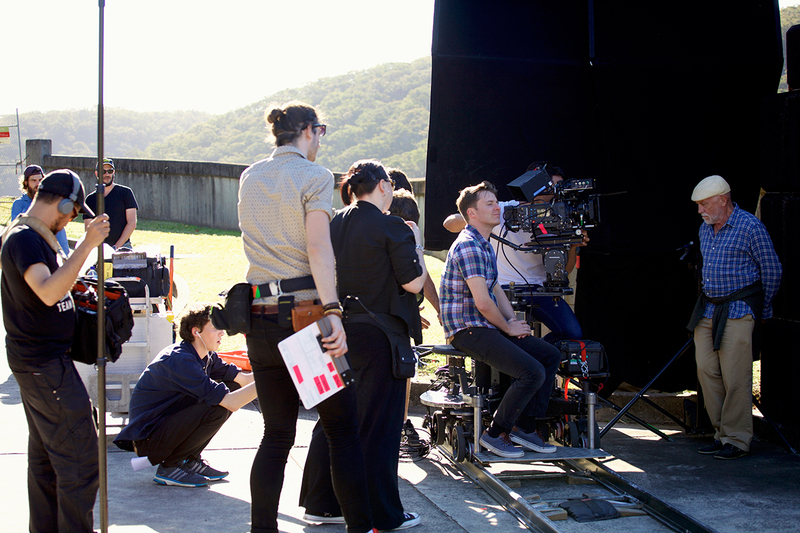 The Australian Film, Television and Radio School’s new two-year full-time Master of Arts Screen, offered in 10 disciplines from directing and screenwriting to animation and producing, is focused on nurturing a new generation of filmmakers. Motivated by a practice-based research question, students are supported by small class sizes (no more than six per discipline), one-on-one mentorships, industry practitioner teachers and guest speakers, excellent resources, professional placements and funding for individual screen projects There’s also a part-time Master of Arts Screen: Business and Leadership, focused on creative approaches to business planning, strategy and public policy. The school has a proud record of outstanding graduates. Always interested in Australian animation, I noticed on the AFTRS website the progress of recent postgraduates working in the field: Patrick Clair, Emmy award-winning titles designer for Man in The High Castle (2016) and True Detective (2014); Sandy Widyanata, feature film director, Monument 14 (in development); Ben Wright, Layout Artist, Animal Logic (Happy Feet 2), Flying Bark Animation (Maya the Bee); and an earlier success, Sejong Park, who received an Oscar nomination for his 2004 short animation Birthday Boy. UWS Theatre graduate, actor and writer-director Brendon McDonall completed an AFTRS Master of Screen Arts in 2014 and had been a finalist for the Dendy Awards for Australian Short Films in 2013 for All God’s Creatures. Beautifully and adventurously crafted, All God’s Creatures (2012; watch it here) is about the relationship between two young brothers following the death of their father and won the Iris Prize, Cardiff’s International Gay and Lesbian Short Film award, in 2014. McDonall used the £25,000 prize money to make a new short film, Spoilers (2016) in Wales. His film The Dam (2016), about two elderly men visiting the dam that defined their young lives, has just won Best Student Short at RiverRun International Film Fest 2017, one of the oldest film festivals in the USA. In an interview, McDonall talks about the making of Spoilers, in which he applies the notion of the spoiler alert to real life. What do you mean by research? In the Masters program we really focus on practice-based research. We don’t actually offer an MA in Research; we have two Masters degrees by course-work: Master of Arts Screen and Master of Arts Screen: Business and Leadership. Research, enquiry and critical thinking are integral to both those programs. In our MA (Screen), which is a two-year full-time program offered in 10 disciplines, students complete a substantial practice-based research project. This is the work they create in their second year? That’s right. In the first semester of the second year students make a major creative project, supported and informed by a practice-based research question. This project is something they’ve been developing from the first week they arrive here in their first year. We describe the research question as an “area of creative enquiry.” It’s really about students tapping into a particular area of interest, a passion they may have for some area of practice or some question about how the film industry works, and then using that to drive their own practice. Do they usually arrive with an idea of what they want to do or is it a chance to challenge and explore and push themselves? It really varies. Some students arrive with a set project they have in mind. For others, as you say, it’s a chance to be challenged, to push themselves and to really start engaging in a more meaningful way with the whole idea of a reflective practice and to ask questions. What are the impulses and passions that drive my practice? Do I have any burning questions about the stories I want to tell or how I tell them? But it can be a slow process in terms of people teasing that out in a meaningful way. How do you get students to be introspective and open to a process like this? There are a couple of strategies. As you can probably appreciate, we’ve got students from a diverse range of backgrounds and there’s a real variety of learning styles. We find a more socratic, seminar based approach is effective — asking students questions and encouraging them to start gently probing their own practice. We ask everyone to keep a reflective journal. That process of diarising is something we talk about quite explicitly in the first couple of weeks when students are just teasing out the notion of what reflection is: why you do it, why it’s valuable. We get industry practitioners to come in and talk about their own reflective practice so it doesn’t seem like just something you do in the ivory tower of film school but something that will continue to have meaning for you when you get out into the industry. Finally, all exercises and class work are structured around the spirit of inviting students to make as much work as they can, to keep doing, to fail fast and fail hard and in this process of doing to keep gently testing and asking questions of how they work, why they make the choices they make, what they do well, what they love, what they do less well, and love less! In their first year, what chances do they get to fail or succeed? What are the practical dimensions? The first year is structured around intensive, practice-based coursework. The second year allows students to pursue a major creative project supported by an area of practice-based research. The coursework in the first year comprises four subjects: two discipline-specific subjects — Theory and Practice — and two shared subjects — Research & Development and Cinematic Storytelling. 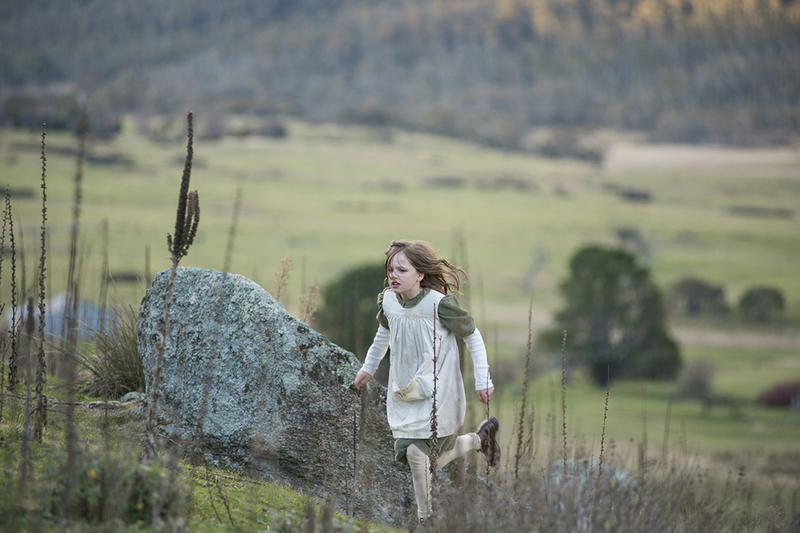 Cinematic Storytelling is a screen studies subject, a combination of lectures, seminars and screenings in which students interrogate a range of historical and contemporary Australian approaches to powerful cinematic storytelling. In Research and Development, students develop their research question and test the project they will realise in year two through a series of tutorials and creative workshops in which we set students particular challenges or provocations that they have to respond to through practice. These are usually quick, high turnover exercises, and we find these low-stakes exercises encourage students to take more risks and play with and test ideas and act as a useful foil to the much slower pace of the research process. We set an exercise last semester where students had to make a one-minute film in response to the provocation of testing your research question within the physical environment. One of the students, whose area of creative enquiry is exploring the differences between sound and noise, headed out to the park and recorded the sound of trees and made a strange but powerful film, that had a surprising kind of menace to it! Then within the discipline specific strands all the teaching is practice-based. It’s about getting out and doing stuff, whether it’s a VR workshop, a green-screen exercise or working with actors. There are three major collaborative exercises in the first semester — plenty of opportunity to test, hone and refine skills. The semester culminates in an ambitious exercise where students have to reimagine a scene from Macbeth with a VFX component. The theory subject acts as a quieter reflection space where students can contextualise their practice. What’s the timeframe for students making their main work? Students are actually developing projects in first year and if they’re going to get proper post-production, we encourage them to think about shooting fairly early in the second year. In last year’s masters program, two students shot feature films. They were particularly well-organised and able to develop their projects and their scripts through the first year and then start shooting pretty smartly in semester three to complete as much of the film as possible by the end of the course. If someone is directing, is another Masters student, say, in sound or music or writing involved with them? Or are these fairly discrete areas of operation? Interesting question. Previously the Masters was more writer/director-focused and the director had to work with whoever was available. In this new iteration of the Masters, because we’re offering it in 10 different disciplines, the expectation is that students will collaborate and work together. I think one of the things that students find so valuable about their experience of the MA is that opportunity to build lasting collaborative networks, to find the peers and sympathetic creative partners whom they can continue to work with throughout their careers. Who are these people who do the MA? Are they AFTRS graduates turned postgraduates or are they coming from all over the place? They’re really coming from all over the place. I think in this current bunch we have two who’ve come from our BA program but that’s possibly because the BA is in its infancy and we’re only just running our third year now. On the whole it’s a diverse range of people. In this particular cohort of the Masters, we have a 22-year-old coming straight out of QUT and professionals in their 50s who are looking for an opportunity to take some time-out and reflect on where they’re going and possibly give their careers a bit of a shot in the arm and reinvigorate their practice. It’s exciting and makes for a really dynamic and interesting cohort. Who are some of the staff contributing to the program? We have a fantastic faculty. Our Head of Directing at the moment is leading film and television director Rowan Woods. Our Head of Editing is Roland Gallois who has fantastic industry experience and is able to bring that very direct and contemporary way of looking at work and is also very generous and supportive. Stephen Murphy is Head of Sound. He’s also President of the Screen Sound Guild and an experienced sound person and teacher. Rachel Landers, our Head of Documentary, has extensive teaching experience and industry credits. Susan Danta is leading our newly reinvigorated animation and VFX department. What are the career expectations at the end of the program and what do you provide the students with as they move out into the world? This is something we’ve thought really hard about in terms of transitioning our students out into the industry so they can have sustainable careers. They’ll have a portfolio of work, the final project they’ve made and also the exercises they’ve done in semester one. So there should be a good range. The course ends with a four-week professional attachment, which is found for them in consultation with their head of department so they can sit down and actually think about where might be the best place for them to spend time in the industry to really get a foothold. The ideal would be, of course, that the placement goes really well and they’re offered some kind of position at the end of it. In the end it’s more than just having a finished work; it’s about research and reflection? We’re really keen on the whole ‘research’ dimension and that students get a broader understanding of their own practice and process. It’s one of the most valuable skillsets of all in terms of sustaining a career in a landscape that’s always changing. We don’t know what’s going to happen in the next five years, do we? An adaptable skillset can allow them to be more versatile. Tell me about the MA (Screen) student as producer. The emphasis is very much on the idea of the producer as a kind of creative shepherd, someone who knows how to facilitate and manage teams. There’s a lot of focus on being able to recognise what kind of leadership style works for you and how you do best at managing creative teams. Producers are really key in our collaborative cycle in the MA. They’re actually given quite a lot of autonomy in being able to lead and problem-solve within the set of exercises we set up for them in semester one. It’s a challenging experience but they get authentic real-world experience having to deal with tight limitations and being able to deal with a range of creative personalities. It must be fascinating for you and fellow staff to constantly negotiate these relationships between collaborators. I imagine that must take up quite a bit of consultative time? It really does. In fact, we just had some professional development for all of us on creative collaboration. People assume it’s a skill that you’ll just pick up but I think it needs to be quite consciously discussed and observed within the cohort: how does collaboration work; what is the best way to really bring these very different people together in the service of a single vision? And whose vision is it and who is the keeper of the flame? I think they’re provocative questions that will probably shift from project to project. The Master of Screen Arts, Business and Leadership is something quite different. It’s part-time over two years and it’s a transformative program in terms of allowing people to upskill in creative leadership and their understanding of business. During that time, they develop a business plan or some kind of model for a future creative business. They also develop skills around strategy and innovation and do work around public policy. So, again, like the other MA program it’s very forward-looking. Finally, tell me about the Graduate Certificate Screen students coming in on weekends, sharpening their skills or moving beyond “emerging” into something else. The Graduate Certificate Screen is a part-time course offered at a slightly different skill-level. Whereas the Masters is a degree that will get you to that head-of-department position, a Graduate Certificate will take you from one skillset to another — another course of study or some other career pathway. We look at: screen practitioners who want to build skills in their discipline and people who want to transition from one field to another. It could be a journalist who wants to become a screenwriter or a scientist or architect who might want to explore documentary. It has that kind of appeal whereas with the Masters we really do expect people to have some kind of established skillset in their discipline already.